Ever been afraid that a house might fall on you and squash you? I know what it looks like, but no, that house did not just fall out of the sky. 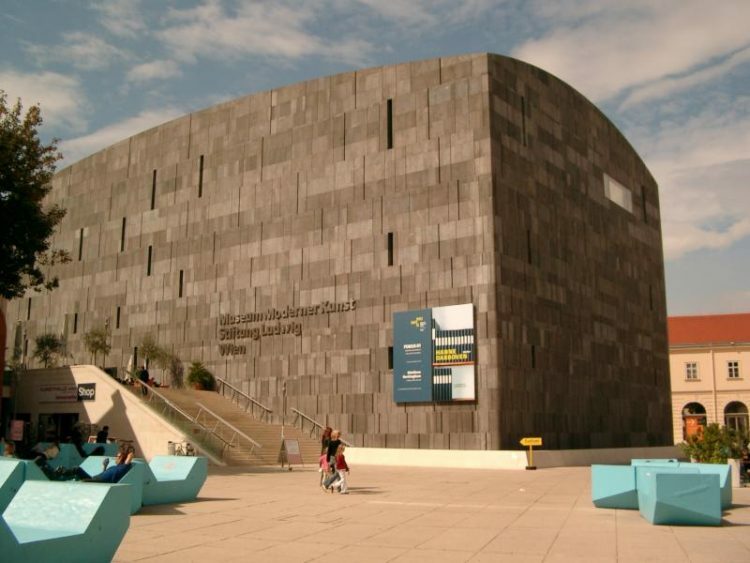 It’s an artistic project of sculptor Erwin Wurm and it was set up especially to look like a house just fell out of the sky and landed on the Viennese Museum of Modern Art. Actually it took two large cranes to get that house in its place and secure it properly.